Welcome to our gallery featuring long hairstyles with layers for women. Long hair can come in many styles and colors. One way to create a dynamic do is with layers. Talented hairdressers and stylists can do this magnificently. Below we feature an extensive gallery showcasing these styles. The new season obviously means new hair. However, it can be hard to find inspiration for a particular style if you don’t know where to look or what you are looking at. Adding layers to your hair is one option that can make 2019 a memorable year for your style choices it can dramatically transform your appearance. The great thing about layered hairstyle is that it comes in several variants and suits all face types. Layering your hair can give the illusion of both length and volume. Modern hair techniques involve distinct blunt cut layers, blended, soft layers and a hundred different styles. Coupled with highlights, ombre and balayage, this hairstyle is perfect for giving your hair a lot of dimension. From Jennifer Lawrence to Beyonce, every Hollywood star has rocked the layered hair style one way or another. Get inspired by the 27 hairstyles listed below. When you are talking about layered hairstyles, Farrah Fawcett’s iconic feathery cut always take the first cut — literally. The dramatic, full-layered look became the hairstyle of the 1970s and not just became popular with women, but with men as well. This beautiful and classic layering style has spawned a thousand copy-cats and as many variants. Like Fawcett, Brigitte Bardot is known for her striking hairstyle. The actress popularized the curtain bangs and cheekbone-skimming layers while she was filming “Vie Privee” in 1961. Her layered, voluminous bangs, signature beehive and tumbling curls are still one of the favored looks in Hollywood. The “Pretty Woman” actress is known for her unique looks as well as her incomparable acting skills. Julia Roberts always creates a stir with her immaculate hairstyle and flawless makeup. Here, the actress is sporting a casual, effortless look with her layered hair in soft curls, with a middle part. Jennifer Lawrence fashion sense has always been flawless. The actress loves to play with her hair and this is one of her best attempts. Lawrence hair has been styled with lots of layers and then given some tousled waves to make it look more voluminous. The addition of honey blond highlights midway gives her locks more dimension. Jennifer Aniston may be the queen of layered hairstyles. Since her days on “Friends,” the actress has rocked multiple variants of the layered cut — and she hasn’t lost her edge. The actress is sporting a sleek layered lock, with side-swept bangs that cover one of her eyes. The look is very chic. Whether brunette or blonde, Emma Roberts, like her aunt, knows what looks good on her. The actress added a lot of texturizing product on her layered hair so that it won’t lay flat. She also added sideswept bangs on the front. The addition of a cool blonde hair color brightened up her complexion. The Oscar-winning actress always manages to turn heads, whether she is on the red carpet or on her way to perform her humanitarian duties. During the photo op of the movie, “In The Land Of Blood And Honey,” Jolie styled her layered hair in loose, artful curls, with hints of cinnamon highlights. Supermodel Gigi Hadid shows you how to do curls and layers together. Hadid parted her hair in the middle and then started giving her layers thin, wispy curls at eyebrow-length. The curly and layered locks make her hair looks more voluminous than ever. The actress and singer is a chameleon when it comes to changing her hairstyle — but she manages to pull off even the most risqué cuts. During the world premiere of “Spiderman: Homecoming,” Zendaya styled her hair in a retro-style beehive and then gave her layered locks some curl. Her hair was parted in the middle to form a curtain of layers that framed her face. Rihanna creates a style statement wherever she goes. However, no one can forget how stunning she looked at the 2013 Grammys. The Caribbean beauty styled her layered locks in loose waves and added a beautiful touch of honey and cinnamon ombre to her dark locks. Her hair complemented perfectly with her red pout and dress. Selena Gomez is one of the prettiest stars in Hollywood and her best asset is probably her long, thick, glossy brunette hair. 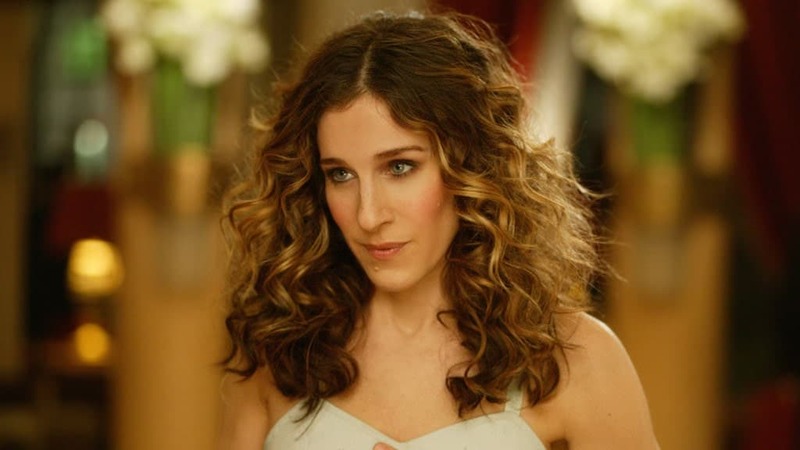 Whether curly or straight, the actress never goes wrong with her locks. Here, she has styled her layered cut into a sleek and straight style and coupled it with some subtle balayage. The look is no-fuss and very cool. 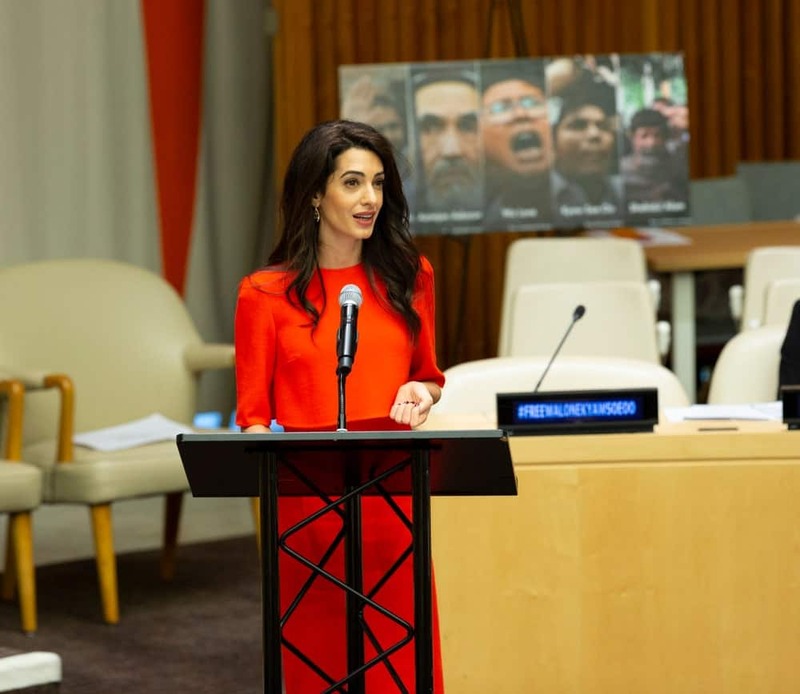 It seems like Amal Clooney never has a bad hair day; here, her layered locks are good enough to rock at the United Nations headquarters. The human rights lawyer has left her hair loose and curling and given it a part from the side. The layers and soft curls add a voluminous look to her hair. Anyone who has watched “Modern Family” — or even a few red carpet events – has seen and envied Sofia Vergara’s silken, honey-tinged, waterfall of hair. Here, the beautiful actress has lightened her hair considerably to a bleached sandy blonde color. She has also given it choppy layers that give it an edgy, feathery look. Kerry Washington is not afraid to rock her hair, whether natural or styled. Here, the actress has made a compromise with both by styling the top part of her hair into dreadlocks while leaving the bottom with frosted, spiky layers. Taylor Swift may have been a blonde her entire life but she has tried every style imaginable on her golden locks. Here, the singer has styled her hair with an eye skimming fringe and textured, feather-cut layers that give her hair a lot of volume and character. The beautiful Spanish actress looks the best with dark hair. Here, Penelope Cruz has styled her hair in different sized layers, with the shortest layer grazing her cheekbone that the actress swept to the side. She also added a hint of blonde highlighted to her hair. With her platinum-blonde hair, silvery dress and whimsical make up, Rosie Huntington-Whiteley looks like a fairy here. The actress has style her perfect golden locks in soft curled layers and pushed them behind her shoulders to create the perfect red-carpet look. piration. The actress has done it all, from short pixie cuts to long curls. Here, she has given her hair some length and let it loose and flowing on her shoulders. The look is casual, effortless and very Sienna. 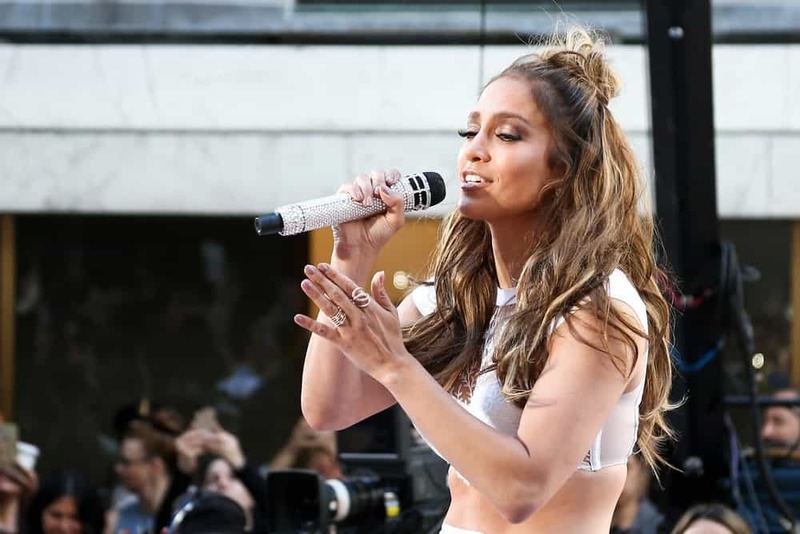 Jennifer Lopez has experimented with a wide variety of hairstyle throughout the decades of her career. The ever-youthful singer has played with a lot of highlights and texture in this hairstyle. Lopez has done up her layered hair in a messy half bun and let her flowing locks run riotously down her shoulders and back. Britney Spears took the ‘90s by storm by her redefined, cute, piece-y layered hairstyles. Now, decades later, the pop star still hasn’t lost her edge when it comes to layers. Spears dyed her hair an icy blonde and cut it in classic layers, with very short, feathery strands in the front and longer layers at the side and the back, framing her face perfectly. Jennifer Garner has been blessed with thick, brunette locks and the actress has spent a lot of time playing with them and given us the best hair inspirations. Here, Garner has added a lot of ash blonde highlight to her caramel brown hair. She has also given her locks some edgy, chopped layers and bangs and added a subtle curl to give them volume. The granddaughter to the founder of the Hilton Hotels; Paris Hilton has always been under the spotlight, both because of her fashion style as much as for her scandalous behavior. Here, the socialite has added darker streaks of antique blonde to her golden hair. She has given her locks a side part and curled the layer into perfect, retro curls. 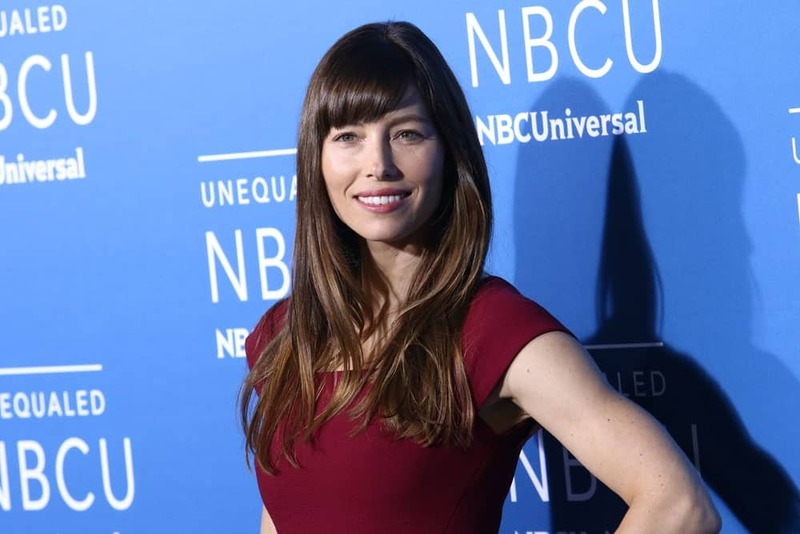 Jessica Biel can never go wrong with bangs. The actress paired her long brown hair with angled bangs and subtle layers. She has styled her hair straight with minimum products for a no-fuss effortless look. Camila Cabello has been rocking her layers since her “X-Factor” days. 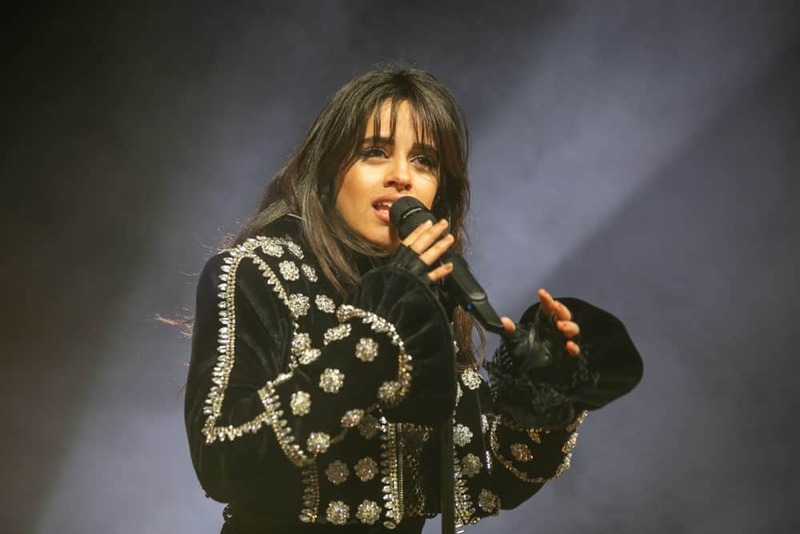 The former “Fifth Harmony” singer is now known for her cute piece-y bangs and long layered hairstyles that never fail to highlight her lovely cheekbones. The pop star has turned from a brunette, to a blonde, and then back. No one has played more with their hair than J. Lo. Here is another of her wonderful styles that needs minimum maintenance. The singer dyed her naturally brown hair into a rich burnt chestnut color. She parted her hair in the middle and styled it with some layers, with the shortest layer, ending at her cheekbone. Her loose hair flowed thick and voluminous down her shoulders with minimal product. Layers are used extensively with all hair lengths including short layers and medium length layers. They’re also applied to all hair types as well and combined with other styles. For example, a popular cut is a layered haircut with bangs. When putting together the research for this gallery, we discovered that people who search for this type of cut also looked for examples of long straight hair. They add texture and the perception of depth. They add interest too. However, it must be well done. This is the case for men and women who have medium and long hair. Even kids… it’s amazing how much better young kids cuts look when done by a professional who implements layers vs. the DIY bowl cut. That said, I also like the strict bob style without layers as well as longer hair with even bottom cut. That’s a classic look. And that’s what is so great about style and fashion, while there are mistakes and bad ways to go about things, in many instances many options work amazingly well.